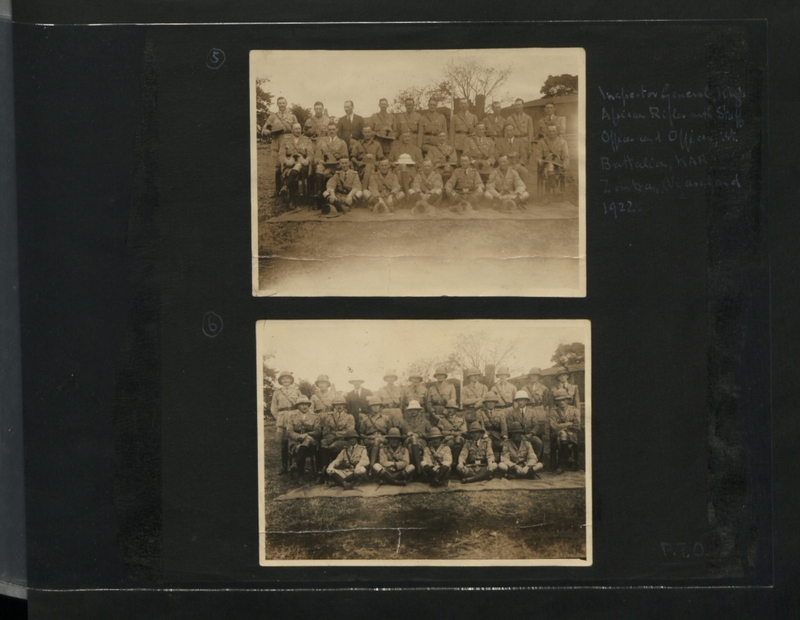 Description: A group photograph, taken at Zomba? during an inspection by the Inspector General of the King's African Rifles, of the Officers and British NCOS. during the summer of, I think, 1922. The IG's name, again I think, was Hawthorne, his staff-officer Edwards, the CO. of the battalion Philips; the chap in plain-clothes in the back rank is the doctor. Looking at the picture I am theleft hand chap sitting on my bottom in the font frow, a very minor person. I can remember the names of some of the others but it is too long to detail them with hats on.